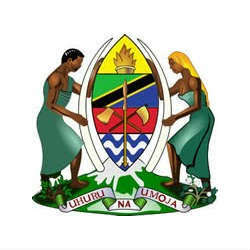 President Kikwete announced that the Tanzanian economy surpassed the Government target by achieving growth of 7.1%. The growth rate was an improvement on the 2012 rate of 6.9%, exceeded the Government target for the year of 7% and was consistent with the 7% per annum growth trajectory forecast by December’s World Bank Economic Update report on Tanzania. Growth in the country is being primarily driven by a number of capital intensive sectors, most notably communications, construction and transport which each saw annual growth of 20.6%, 7.8% and 7.1% respectively. The World Bank report cautioned that the major risk to the Tanzanian economy was fiscal and that changes would be required to keep the country’s borrowing at a reasonable level. President Jakaya Kikwete addressed these concerns during his annual year end message to the nation by stressing the importance of improving the investment climate and expanding private sector involvement in major development projects so as to reduce the need for Government borrowing to finance them. In regards to the future, the report also noted the potential for the recent discovery of large natural gas reserves to be a significant transformative factor in the economy with the ability to help shape Tanzania’s economic future.